Welcome to my blog! 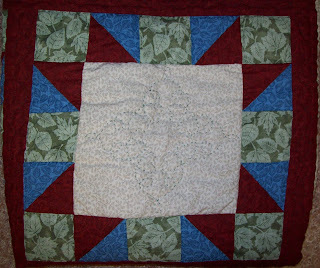 I am so excited to share some of what I have made in the past as well as what I am making now. 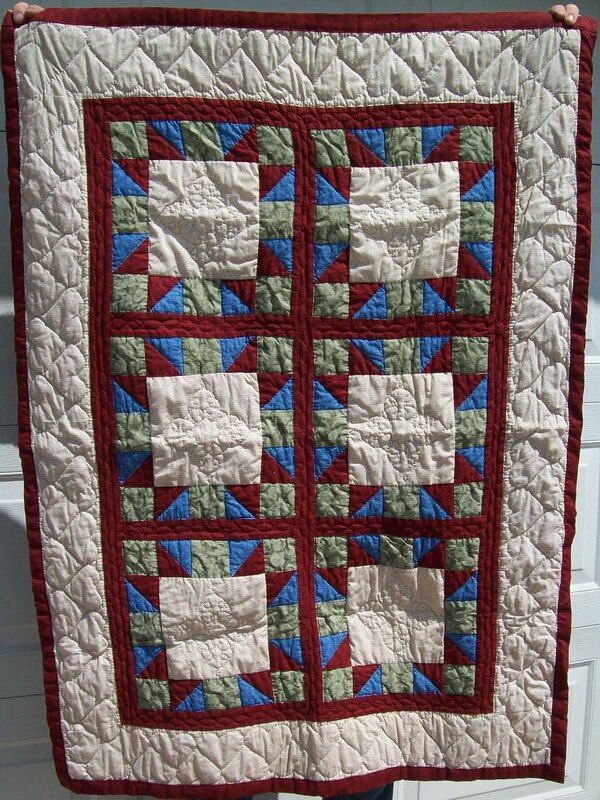 I love to quilt and think that it is high time I chronicle what I have done, and what I do in the future. I hope you enjoy what you see! So, I have been talking a lot about posting something on Etsy. I have had a lot of trouble with it, and delays, all on my end. Well, I have finally listed! 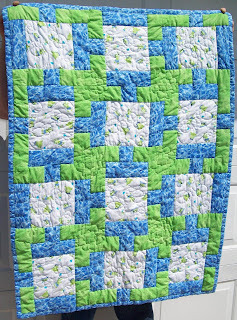 You can find this quilt listed here . So, I have begun on the project set forth at Fifteen Minutes Play. Today I actually did three blocks. You know me, I have a hard time stopping some times. But it did take the 15 minutes to finish the first one. I have not done a crazy quilt yet. I didn't see the value in them before. To be honest, I thought that they would be hard. From now on I will be posting pictures of what I have done that day, and calling the SOTD (Square of the Day). At the end of the week I will post all of my pictures on Fifteen Minutes Play. At Material Mary's I followed over to Fifteen Minutes Play. I think that this is a cool idea! With all of the quilts I have been making I have quite a lot of scraps. I have been thinking about a way to be able to use them, and now I have one! 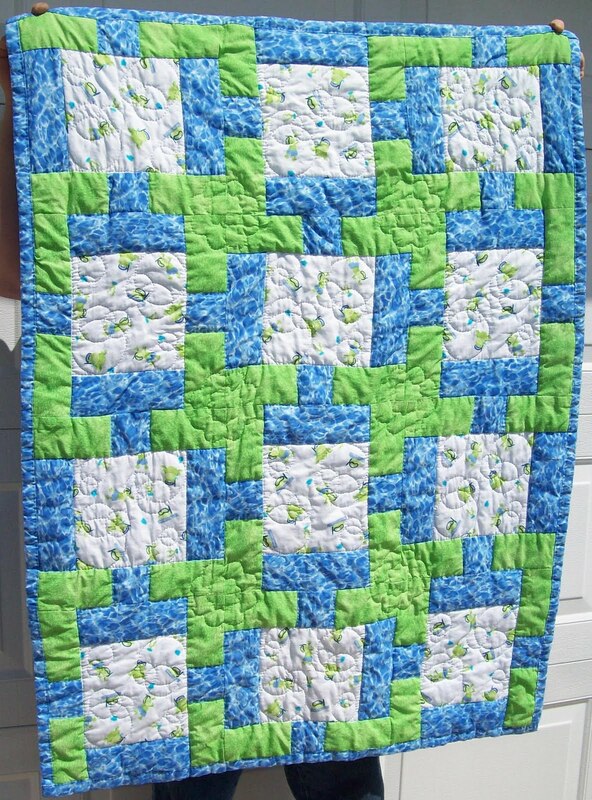 AND I have been thinking that I need to make a quilt for myself. The only problem with that is that I "don't have time". Well, I CAN take 15 minutes a day to do this. So, you all know that I love to fabric shop right?